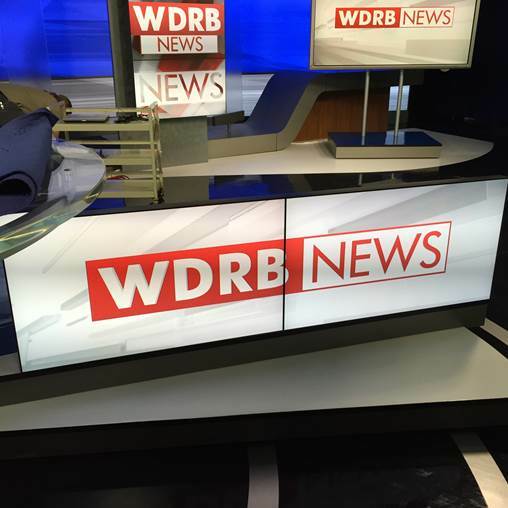 WDRB is a Fox-affiliated television station located in Louisville, KY that covers news in the greater Louisville and southern Indiana regions. 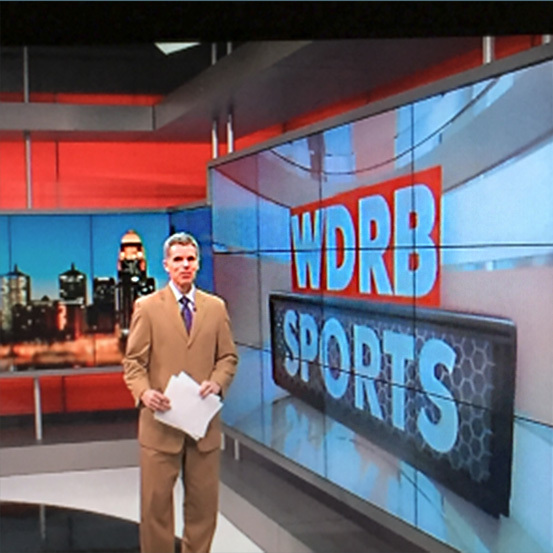 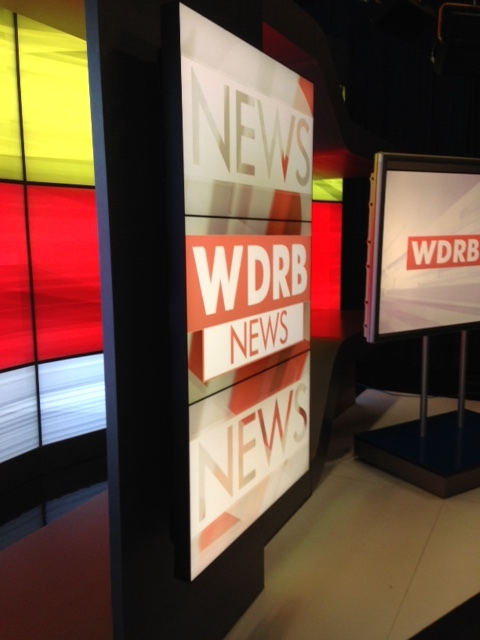 When the station needed to replace multiple television studio backdrop monitors, including a large video wall, WDRB chose new displays from NEC Display Solutions. 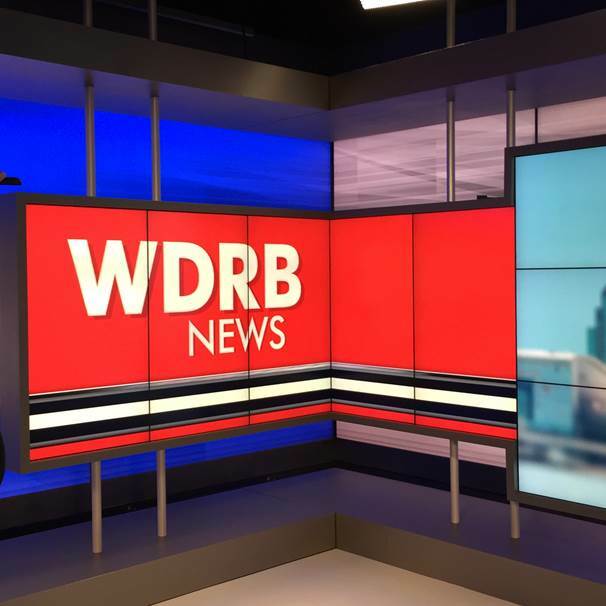 A leading manufacturer of LCDs, NEC teamed up with local A/V integrator Trinity Video Communications to remove the existing monitors from the studio, and install and calibrate the new displays. 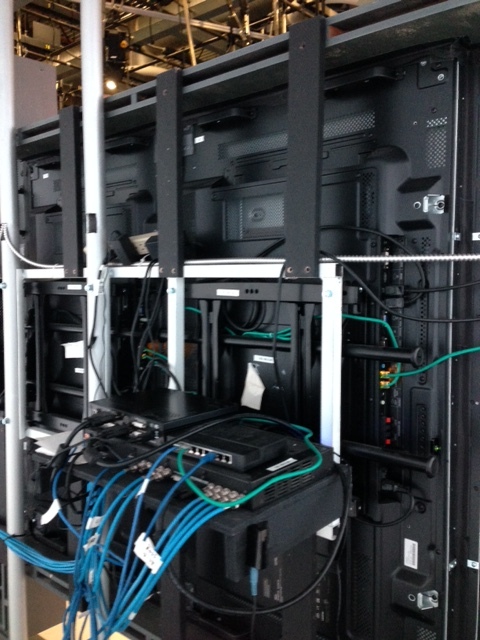 Trinity Video removed 26 LCD panels and worked with NEC to install a 5×3 video wall back drop, a 5-monitor L-shaped rear display, a 3-high display, and two side-by-side vertically mounted monitors. 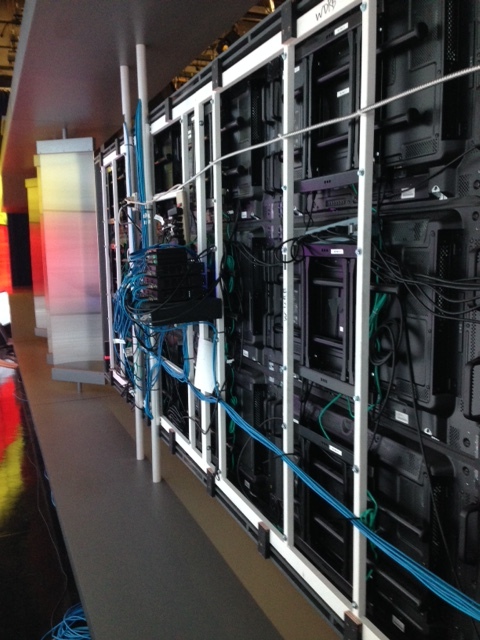 Each panel was carefully hung, calibrated, and tested by Trinity Video to ensure proper operation.